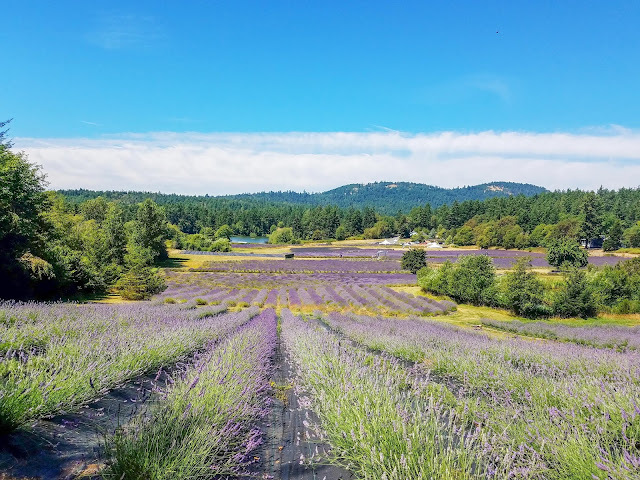 Local San Juan Island Chef, and Pelindaba's long-time friend, Anna Maria de Freitas takes us into her kitchen with a primer on how to use lavender in everyday cooking. Lavender Salt – in place of regular salt or as a finishing salt. Lavender Vinegar – in place of vinegar in salad dressings or marinades." 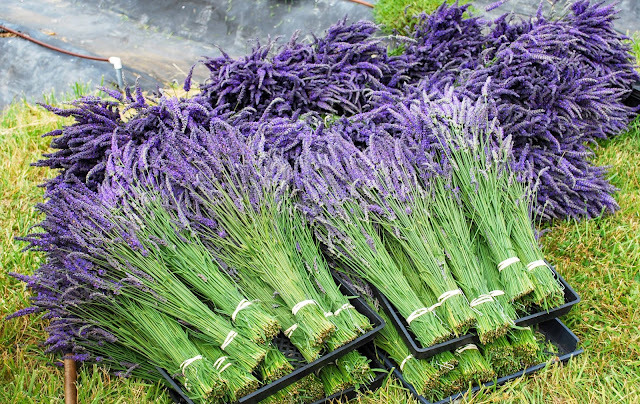 What variety of lavender can you use in cooking? 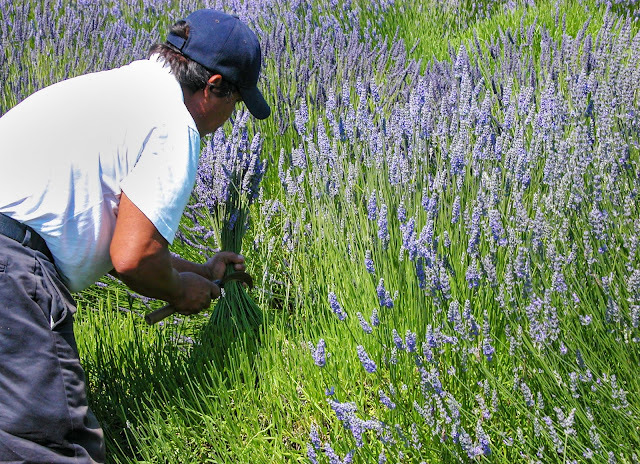 "Often, the 'Provence' (Lavandula x intermedia) variety of lavender is recommended for culinary use. In reality, almost any variety may be used for cooking if it is harvested at the proper time. Optimally, you want to harvest early in the season when the flower heads just begin to open and before the bitter (yet fragrant) essential oils start building up. Later in the season, the flower head is best used for essential oil distillation. Remember, you want to capture the beautiful floral components of lavender when cooking. "You may use fresh or dried buds for cooking. If you are using fresh lavender, use approximately half the amount of dried lavender called for in your recipe. Choose lavender that is food grade and organic. 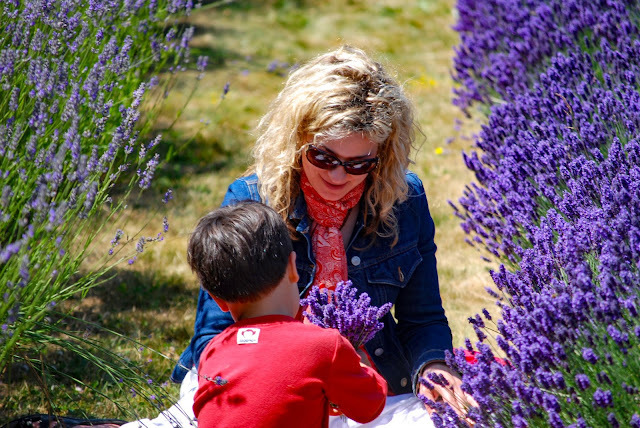 At our bed and breakfasts and restaurant in Friday Harbor, we love using organic lavender flowers for garnish throughout the season, starting with the early blooming Spanish lavender to later blooming French lavender. We use individual flowers on cakes, cookies and scones and small bouquets of lavender flower heads for platters and larger dishes." Do you use the entire lavender bud? "Be mindful of the taste and texture of the dish you are making and the form in which you want to use the bud. If you are making a simple syrup, custard or ice cream base, steep the liquids, sugar, and lavender buds in the liquid from the recipe and strain. "For lavender sugar or butter, grind the buds in a spice grinder or mortar and pestle to ensure the buds do not impart any unwanted texture. You may also add the lavender to the flour in a baking recipe and buzz in a food processor to ensure the buds are finely ground. "Encrust meat with a rub of lavender and nuts. For this application, you may choose to use the entire bud for added texture." Use as spread on toast, atop fish or chicken or in place of butter in your favorite sugar cookie, muffin or tea bread recipe. Step 1. Place all ingredients in food processor and pulse until combined. Step 2. Transfer to parchment paper and form a log. Wrap well with plastic; refrigerate or freeze. Slice as needed; will keep two months refrigerated. Use as a replacement for sugar in recipes or to make lavender syrup. Step 1. 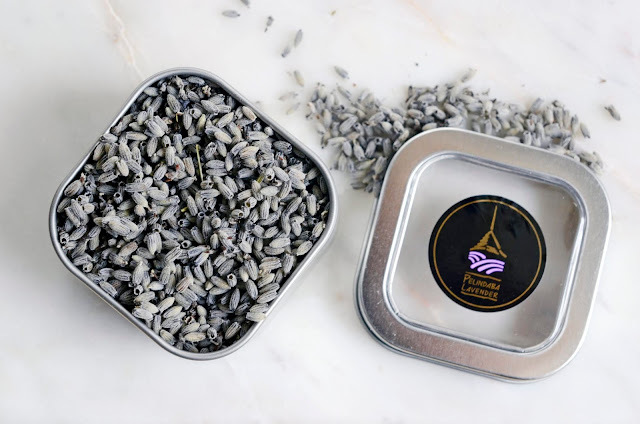 Place lavender buds and 1 ¾ cups sugar in spice grinder or food processor. Blend for about 1 minute or until the mixture turns to a soft powder. Step 2. Store in a mason jar or zip lock bag. 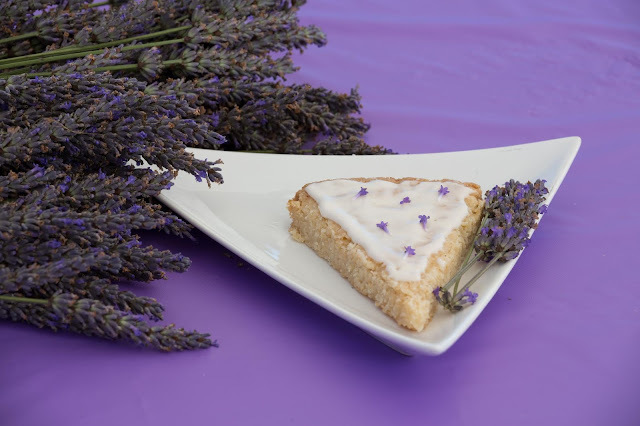 The longer the sugar is in contact with the lavender the more it will permeate and infuse the sugar with its delicate flavor. Use as a base for fruit sauces for pancakes, waffles, ice cream or as a simple syrup in a cocktail or non-alcoholic mocktail. Step 1. Bring ingredients to simmer to melt sugar. Steep for 20-30 minutes. Step 2. Strain. Will keep one week if covered tightly and refrigerated. 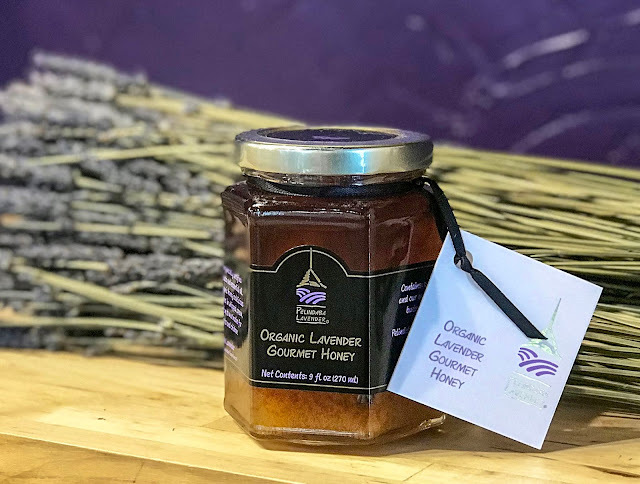 To read more about Chef Anna Maria's adventures with lavender in the kitchen, check out How to Cook with Lavender : Part 1. Anna Maria de Freitas is the owner of the San Juan Island Inn Collection, including the Harrison House Suites, Tucker House Inn, Coho Restaurant and Island Special Events and Catering. Her first cookbook, La Cucina Anna Maria: Good Life Recipes from San Juan Island, published shortly after moving to San Juan Island in 2005 is a compilation of recipes chronicling her passion for food, cooking, and entertaining from her family heritage and travels throughout the globe. Her new book, Savor San Juan Island: Good life Recipes from Friday Harbor is a new set of recipes developed by her and her colleagues over the past decade. This new edition contains many of the recipes she has adapted with lavender. 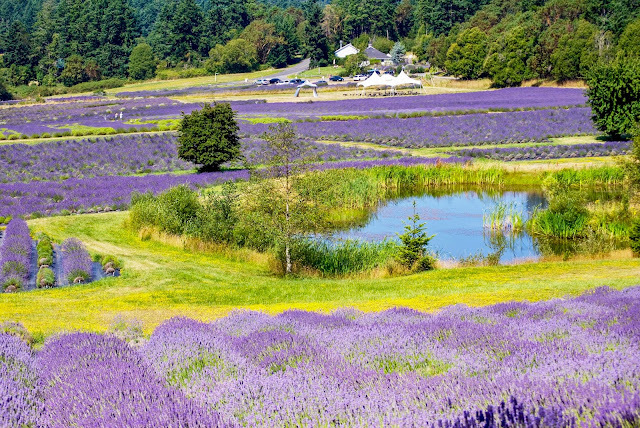 She has shared her love of cooking with lavender at the San Juan Island Lavender Festival, hosted by Pelindaba Lavender Farm, every year since 2005. 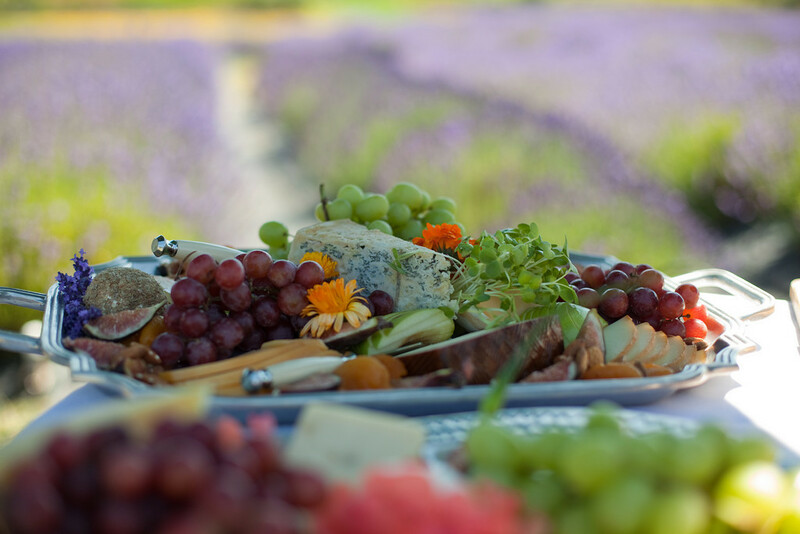 Her team loves catering events in the fields surrounded by a sea of purple and the intoxicatingly relaxing scents of lavender. 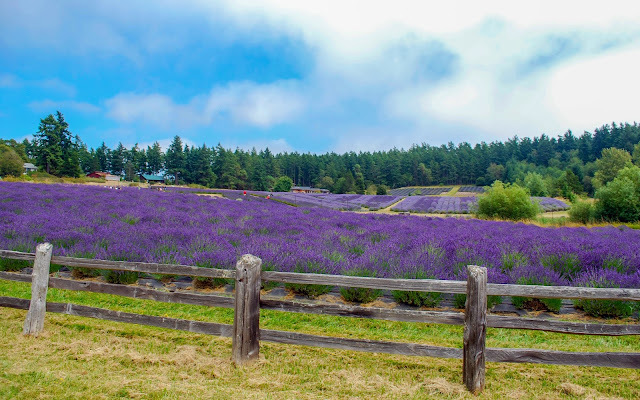 Local San Juan Island Chef, and one of Pelindaba's long-time friends, Anna Maria de Freitas shares her experience of her initial foray into the wonderful world of cooking with lavender. 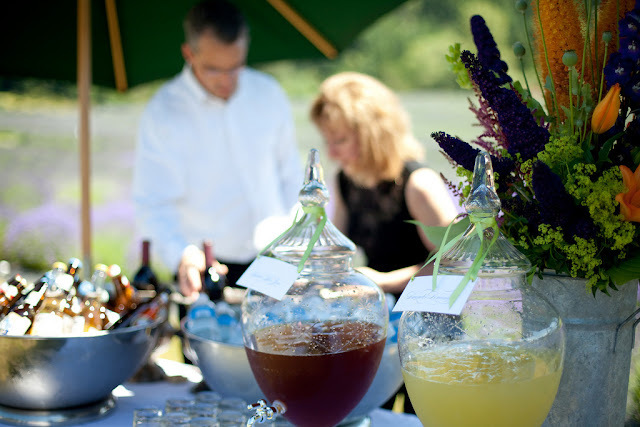 "Not too long before moving to San Juan Island, I planned a dinner party featuring scallops crusted with lavender. I searched gourmet and specialty stores up and down the Baltimore and Washington D.C. corridor. All I found were essential oils. 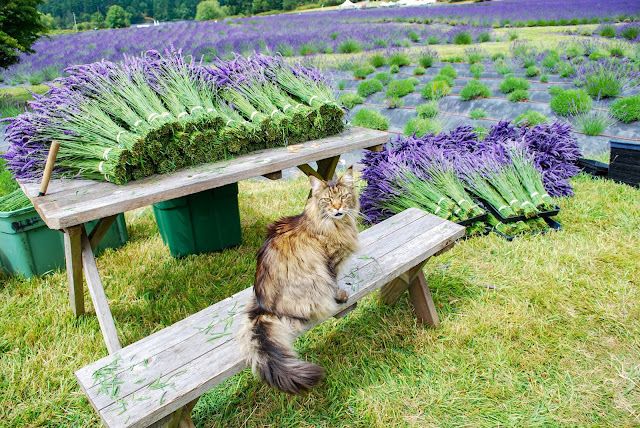 There were no culinary lavender buds to be had. Cooking with essential oils is not advised, so I scrapped my initial recipe and made something else. Fast-forward a few years…. "My husband Dave and I moved to Friday Harbor in 2005 to own and operate our own bed and breakfast. Now I was looking for lavender essential oil for the production of our inn's private label soaps and skin care products. I connected with this farm I had heard about on the island, Pelindaba Lavender. At that time their production of oils was limited and reserved for in-house production only. But they did have culinary lavender buds available. Wow! I could actually try the aforementioned recipe I shelved several years prior. 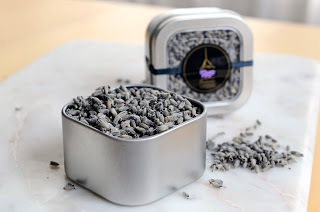 So I purchased a tin of culinary lavender, excited to get started. "Honestly, I didn’t know where to start. I had this romantic notion of the scallop recipe from years past, but once I had the lavender buds in my hands I couldn’t make the connection with the floral fragrance to food. Lavender reminded me of grandmother’s linen closet. It was a new food flavor that I never tasted before, so I had no reference. 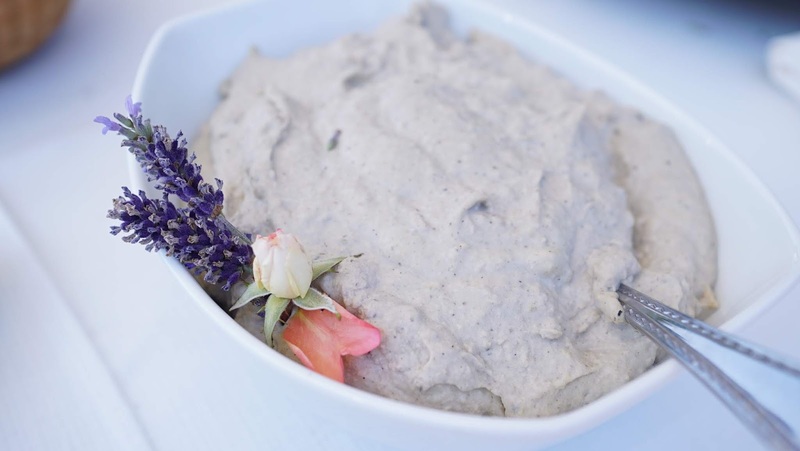 To prepare, I sought out lavender recipes from Provence, France, a region that is known for cultivating lavender varieties and using it in their cuisine. "As I read recipe after recipe, I found a correlation between ingredients and flavor combinations. Once I understood what flavors paired with and complemented lavender I was off and running. 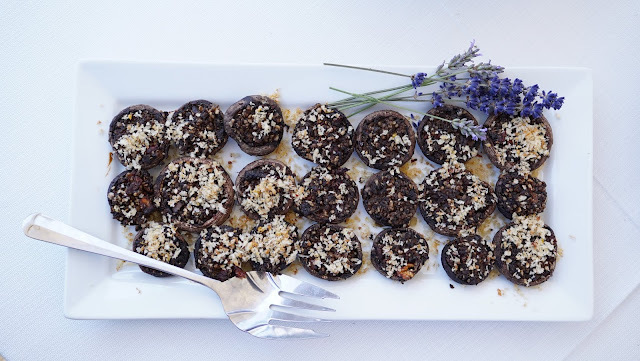 I ditched my earlier recipes, turned to my new repertoire and started experimenting." 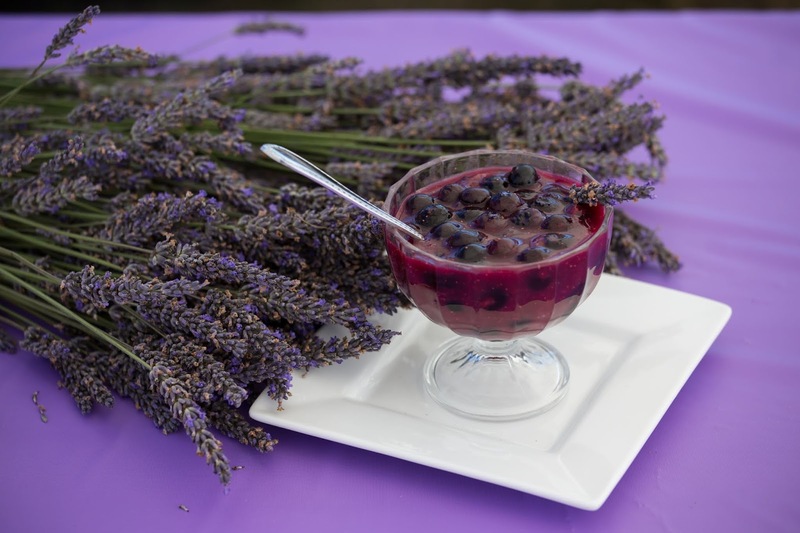 "I added lavender to baked goods – scones, tea breads and pound cakes; I paired the buds with almonds, walnuts, hazelnuts, strawberries, blueberries, pears, peaches, lemon, oranges and honey. I made lavender syrup to use with pancakes, ice cream and cocktails. I paired lavender with goat cheese and ricotta and experimented using it with and in place of thyme, rosemary and Herbs de Provence. 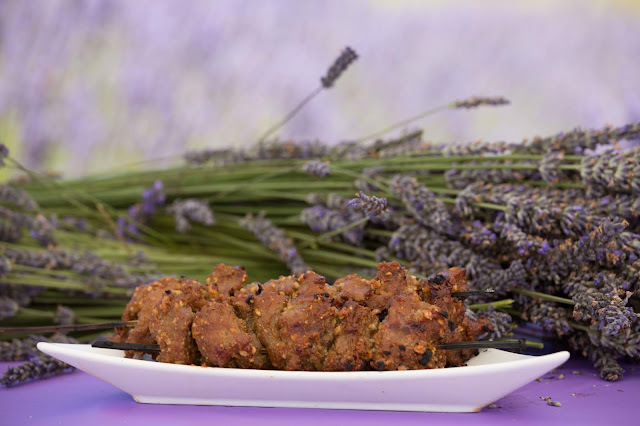 Lavender butter on fish, lavender in a savory marinade with garlic, ginger and yogurt for chicken, a lavender sage rub on baby back ribs and lamb kabobs threaded on lavender skewers -- all were delicious. One of my last discoveries was the wonderful interplay between lavender and chocolate. "I finally understood the flexibility of this herb, which is best used in delicate baked goods and to stand up to strong flavors in savory dishes." "In my kitchen, lavender fleur de sel, lavender pepper and lavender Herbs de Provence are always at the ready to crack atop potatoes, eggs or fish. We use lavender in many dishes at the Tucker House and Harrison House Inns. For some guests, this is their first experience tasting the floral herb. They often struggle to identify the flavor as it is so familiar, but so unique. It is fun to share with them the epiphany we had some 15 years ago." Every summer the farm explodes in a visual display that is truly stunning. Over 30,000 organically grown lavender plants begin turning from green to purple in June and reach their "peak of purpleness" in mid-July. 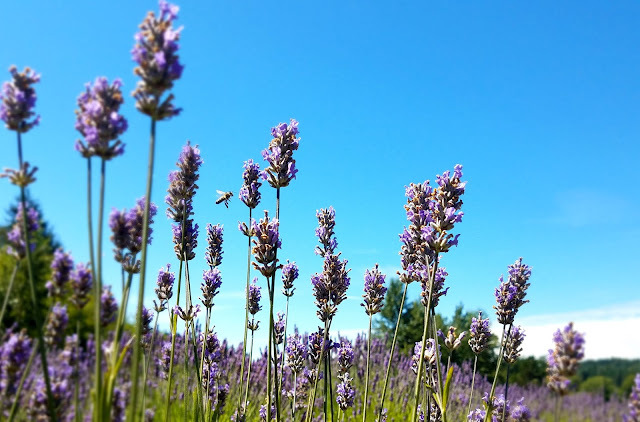 Being out in the midst of all the color and scent and sound (honeybees are always hard at work out in the fields) is an experience like no other - something everyone should do at least once in their lives. We are immensely privileged to experience it every year during our annual harvest. Harvesting usually occurs from mid-July through the end of September. Come, let us show you how it's done! These two views are from the top of the farm. 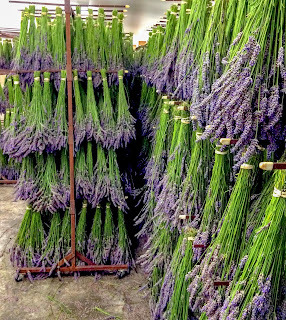 Thousands of lavender plants stand ready to be harvested. 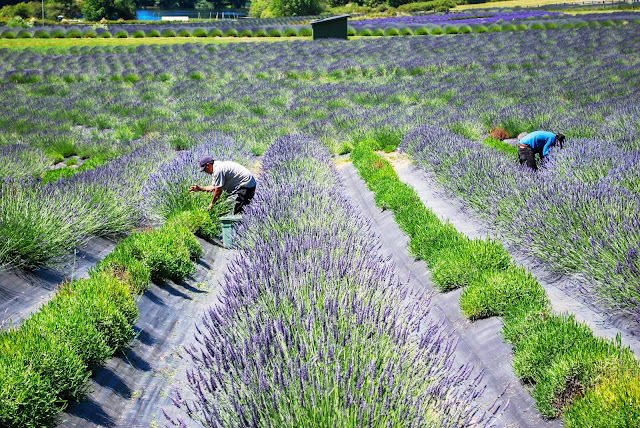 Each mature lavender plant produces about 500 flowerheads. With over 30,000 plants in the ground, that's millions and millions of flowers! We harvest on sunny mornings once the dew has dried to prevent the lavender from mildewing once cut. Each plant is harvested by hand! We use 7 inch garden scythes to harvest each plant. In the at-home garden, clippers or scissors work well for small-scale harvesting. We create uniform bundles and secure each with a rubber band. As lavender stalks dry they shrink a bit. A rubber band keeps everything secure. Unfolded paperclips are the most efficient way we have found to hang lavender bundles. Here one end of the paper clip is being hooked through the rubber band. Once each bundle is secured with a rubber band and has an unfolded paperclip hooked through the band, it is ready to be dried. 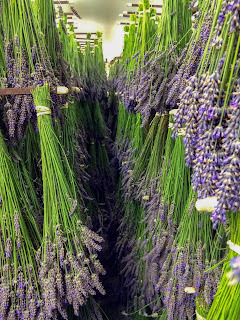 Finally we hang each lavender bundle by a paperclip from racks in our Drying barn, Distillery, Visitor Center, Production Center and any other nook or cranny we can find. 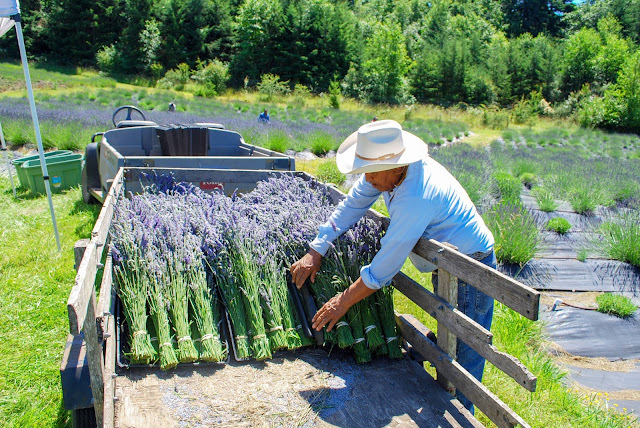 It will take 4-6 weeks for the lavender to dry fully and be ready for use in our lavender-based products that we handcraft on the farm. During harvest season everyone comes out to lend a hand (or paw)! 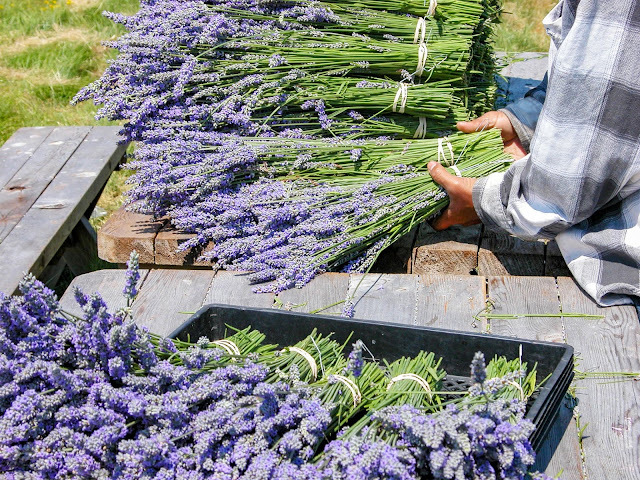 During summer months the Cutting Field open to visitors to harvest their own bouquets of lavender from a wide of varieties (even some pink and white lavender!). It's a fun activity for the whole family - be sure to bring your camera! We provide scissors, ties and harvesting instructions at our Visitor Center which is open daily during the summer. As the days lengthen and we see the sun a bit more each day, we may also see a bit more dirt and grime around the house. 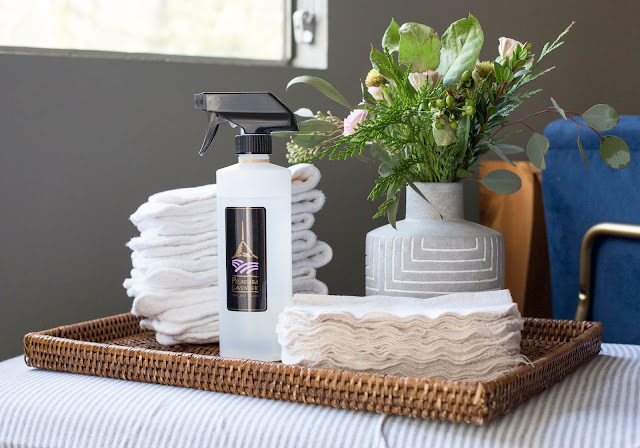 Much like nature's spring renewal and refreshing, springtime is often the time we renew and refresh our cleaning routines that may have taken a "long winter's nap" during the preceding months. If you are in need of some spring cleaning inspiration, you're in luck! 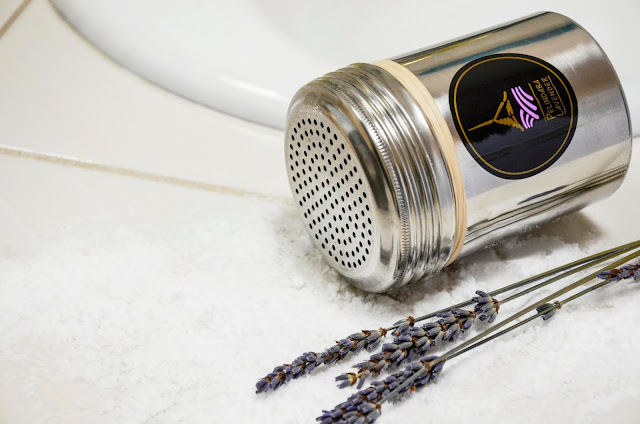 We've put together some tips and tricks using our all-natural, chemical-free and lavender-based cleaning products to get you in the cleaning mood. Is your kitchen a little lackluster? Utilize one or all of these tried and true cleaning methods to rejuvenate your cooking, eating and gathering space once again. *Always first check your appliance manufacturer’s cleaning instructions. Stove Tops : Dampen cook top surface and sprinkle with Lavender Household Cleanser. Let sit for at least 10 minutes on charred spills. Wipe clean with a damp cloth then polish until the surface shines. Coffee Machines : Non-acidic, our Organic Lavender Hydrosol will not harm delicate components, even those of espresso machines. Use regularly to help prevent hard water stains and mold growth. Spritz all surfaces, including filter baskets and water reservoirs. Wipe with a fresh sponge and scrub small parts with a soft brush as needed. Trash, recycling and composting bins : Often neglected, these can be the source of malodors and insect problems. Cleaning up these receptacles is no pleasant task. Don your rubber gloves and pull out your lavender cleaning products to make it a bit more tolerable. 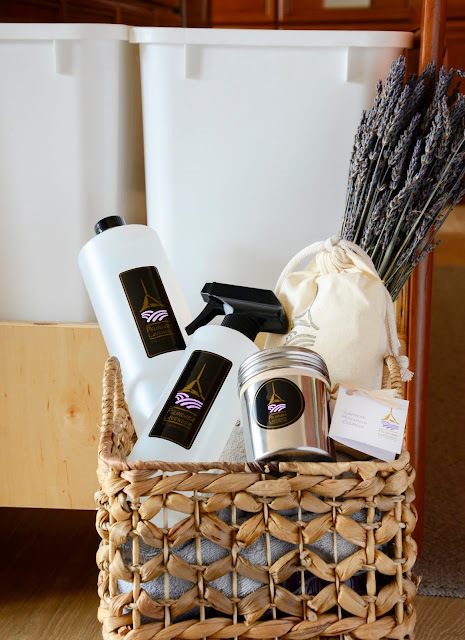 Generously spritz ALL surfaces - inside, outside, top and bottom of bins with Organic Lavender Hydrosol. Let sit a few minutes to dissolve grime and wipe clean with paper towels or rags. Repeat if necessary. And, there's no need for artificially fragranced trash bags. For natural freshening sprinkle the bottom of the bins with Lavender Household Cleanser to further repel insects and absorb odors. Did you know that cell phones, remote controls, computer keyboards and handheld gaming equipment boast some of the most bacteria-ridden surfaces around? Independent lab studies show that they can harbor yeast, mold, E. Coli and Staph among other unsavory matter*. Anyone guilty of taking your cell phone into the washroom? 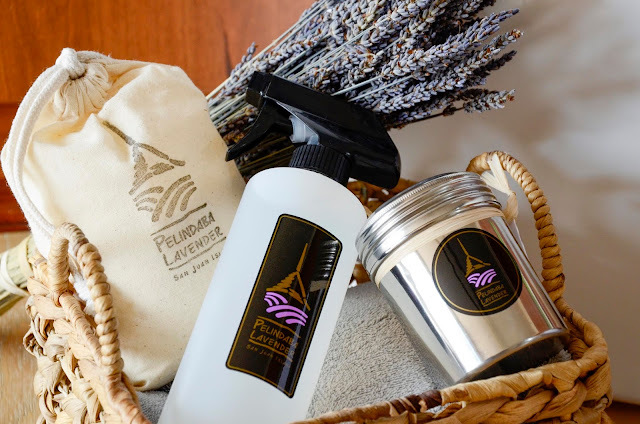 Harness the antiseptic, truly streak-free, and non-abrasive qualities of our farm-distilled Organic Lavender Hydrosol to clean and shine these digital devices. Lavender Hydrosol also works wonders for dusty and smudged electronics surfaces of all sorts, such as television and computer screens. Simply dampen a soft, clean cloth (microfiber or recycled flannel cut into handkerchief-sized squares works well) and wipe surfaces until fingerprint and grime free. Done with your winter outdoor sporting equipment for the year? 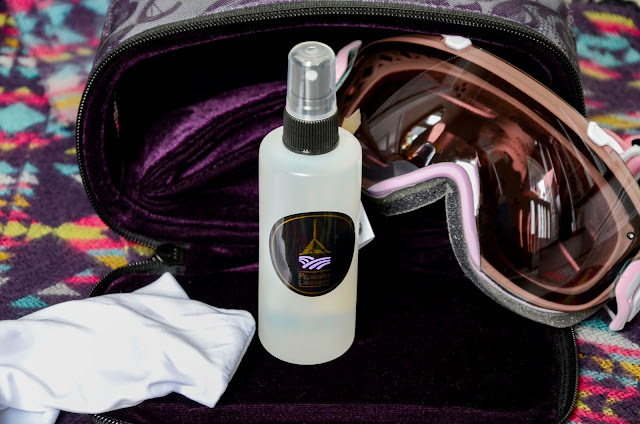 Spritz ski, snowboard and snow shoe equipment, boots and roof rack carriers with Organic Lavender Hydrosol and wipe clean with an old towel or microfiber cloth to remove dirt, grime and damaging salts before post-winter storage. Add a generous sprinkle of Lavender Body Powder to boots and gear storage bags to freshen and absorb odors. Do you have any Green Spring Cleaning with Lavender tips to share? 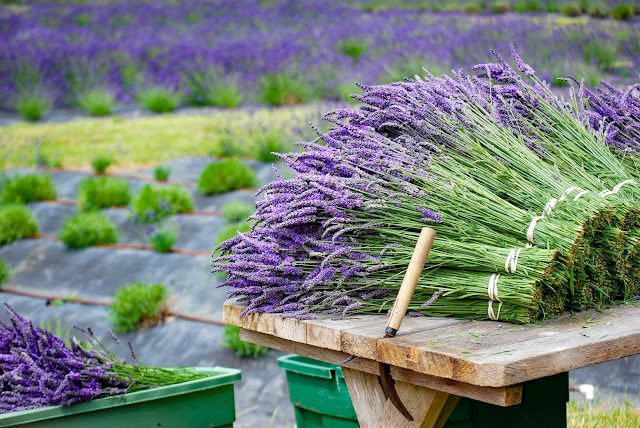 We'd love to hear how you use lavender to clean and freshen your home in the comments below. In their first months, our sweet children fill our hearts with such joy, wonder, and love - and likely a little sleep deprivation. If you're in this precious life season and battling for some nighttime zzz's, we're so happy to share this tried-and-true baby bedtime routine to help calm and soothe your baby (so hopefully you can enjoy some of that coveted sweet slumber, too). Taking care of a newborn is demanding, so add on as many of the below ideas as you can manage. If you're ready for everything, go ahead and dive in to compound the benefits of all of these suggestions together! Fans of baby massaging claim that the benefits are multi-fold: calming an irritable baby, aiding relaxation, priming for sleep, easing a gassy tummy, parent-child bonding, soothing the discomfort of teething and even boosting muscle, immune system and gross motor skill development. Working a short massage into baby's daily bedtime routine can aid relaxation for both baby and parents. When choosing an oil, we recommend using one that is edible and absorbs more quickly into the skin than a traditional massage oil, like olive oil or coconut oil. It's important that it is safe for little hands that are likely to end up in little mouths later. Our Lavender Body Oil is another great choice, plus, the fragrant organic lavender essential oil in it is well-regarded as a relaxation and sleep aid. Not sure how to give a massage to your infant? Here's a great step-by-step tutorial for a simple full-body baby massage. Most babies enjoy bath time and it's a great step to add to bedtime routines to prepare and transition baby to sleep. Lavender is a perfect scent to incorporate into a pre-bedtime bath to augment the familial environment's calming effect on baby. 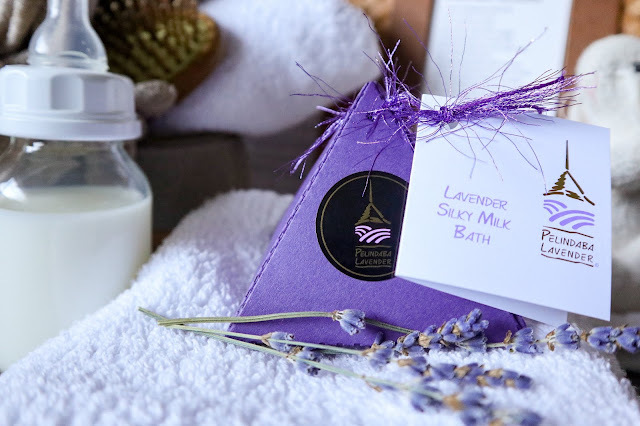 Our Lavender Silky Milk Bath's fragrant aromatherapy treatment promotes relaxation and calm - great for making baby ready for bedtime. Plus, its nourishing properties will rejuvenate and soften the skin, which may inspire some more frequent co-bathing sessions! 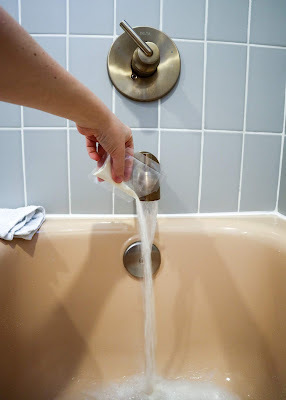 Simply add as much or as little of the milk bath as you desire directly into running water. Incorporating lavender to the nursery is an easy way to help lull baby to sleep - bonus for moms and dads who may be sharing a room and hungry for some shut-eye of their own! If you co-sleep, a little Lavender Linen Water spritzed on your sheets will be a welcome treat for you, too. It's safe for baby and won't stain your linens. Traveling? Douse your nursing cover or spritz on your blouse to help baby relax on the flight. 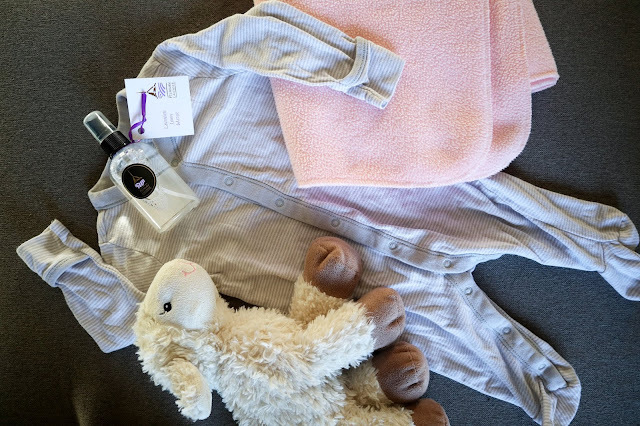 When your child is old enough to sleep with them, you can also spray some lavender linen water on their pillow or a stuffed animal or blanket they might have a preference for sleeping with. 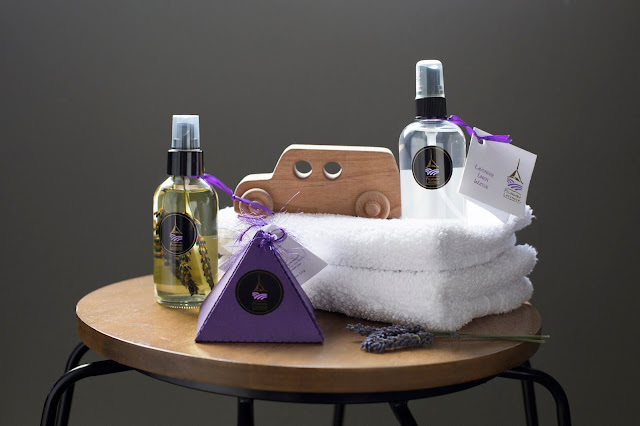 A diffuser is also a great option for permeating the room with an even, delicate aroma of lavender. Be sure to select a diffuser that does not use heat to disperse the essential oils that can otherwise be a burn hazard for baby. Instead, look for an ultrasonic diffuser that is designed for essential oils without the use of heat. You can also decorate your bedroom and the nursery walls with dried wreaths, add small bouquets to shelves or toss a few sachets of dried buds in baby's jammy drawers. 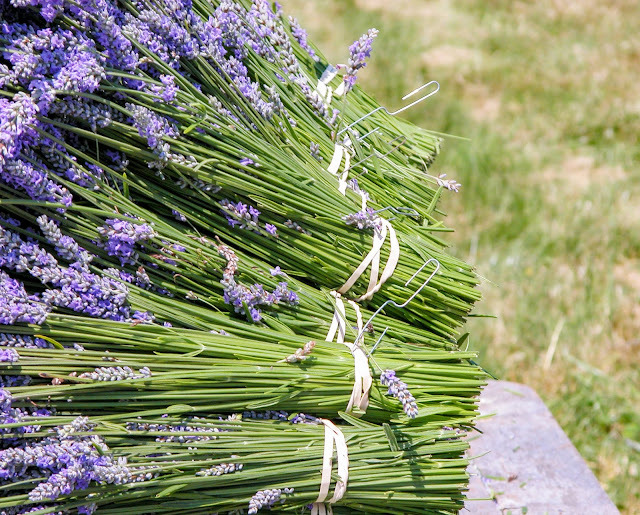 Looking for more lavender inspiration for caring for your little one? Take a look at some diapering and skin care products for babies. The golden glow of a jar of honey appears as liquid sunshine. One can almost feel the summer sun's warmth and hear the hum of busy bees when looking at the rich, viscous substance. For some however, concern can arise when, seemingly out of nowhere, this perfect liquid begins to form a cloudy appearance. This is called crystallization and there is actually no need for any alarm. A common misunderstanding of crystallized honey is that it is “spoiled” or “adulterated”. The fact of the matter is quite the opposite. Pure and unadulterated honey can naturally and spontaneously crystalize over time – this has no effect on the honey other than the color and texture. In fact, crystallization will often help preserve the quality of the flavor of the honey and it is the one sure way to ensure that the honey you are consuming is pure and unadulterated. Honey crystallization happens when glucose, one of the main sugars in honey, separates from the super-saturated honey solution. Honey is made up of about 70% sugar and about 20% water. Glucose serves as a starting point for the formation of crystals. As water evaporates, the glucose takes the form of a crystal. The crystals form a framework which holds the other elements of honey in a suspension, creating the semi-hard state. Crystallization is honey’s natural way of preserving itself. There are several different factors that determine if and when honey will crystallize and the manner in which it crystallizes - storage temperature, type of flower(s) it originates from and overall natural sugar content ratio and composition of the honey. Due to these many factors, sometimes honey will fully crystallize while at other times it will only gradually crystallize. Most mass-produced, commercial honey will crystallize very, very slowly. This is because the pollen (and some of the flavor) has been filtered out and sometimes, in the worst of cases, fillers are added to reduce cost. It may sweeten your tea, but it has also lost some of the nutritional value and in some cases is no longer pure. Pelindaba Lavender Gourmet Honey is pure and Certified Organic, therefore free from unwanted additives. At Pelindaba we believe in embracing nature. Our very foundation, the fields of lavender, depend on it. Each year we yield an organic crop based on the conditions of nature and we and our visitors are never disappointed. We approach honey in the same fashion. Crystallized honey is a favorite of ours at the farm for many reasons. In the body.... Many honey users prefer crystallized honey and enjoy it for its ease of spreading on toast and sprinkling on salads and dessert dishes. It has a lovely grainy texture that melts in your mouth and is very easy to scoop with a spoon. Indeed, some raw honey recipes can be easier to make with partially or fully-crystallized honey — and, the taste is richer. 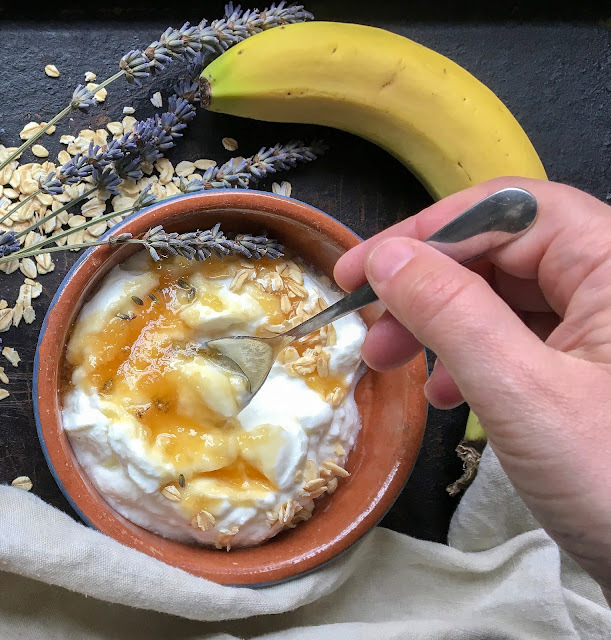 Try adding lavender crystallized honey to your favorite plain yogurt for a texture and flavor that is sure to please your palate. On the body.... Crystallized lavender honey also makes a naturally moisturizing skin and lip scrub. Simply mix crystallized honey with equal parts oatmeal that has been smoothed in a blender. About a ½ Tablespoon each is enough for one treatment. Adding smashed fresh seasonal berries to this mixture will boost the antioxidant effects. Wet skin with warm water and apply the mixture in circular motions. Leave the crystallized lavender honey scrub on your skin as a mask for 5 minutes. The natural antimicrobial benefits of both honey and lavender will help to cleanse and disinfect the skin gently and naturally. Rinse skin with warm water and pat dry. Skin will feel soft, supple and clean. 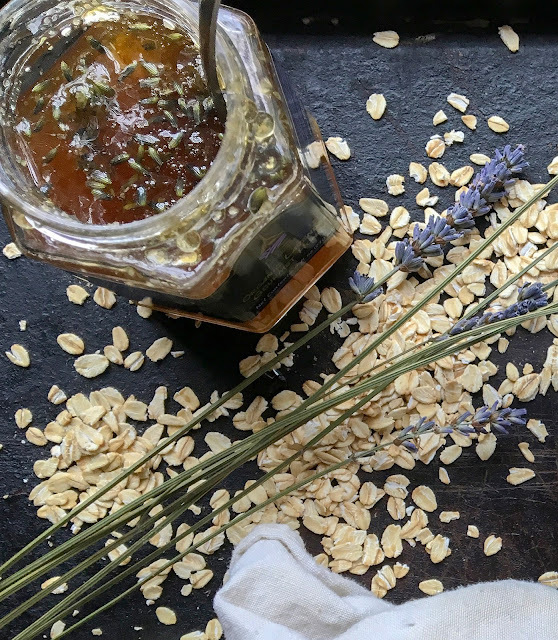 A homemade crystallized lavender honey scrub can be a lovely variant to Pelindaba's Lavender Sugar Scrub. Try adding this alternative to your regular skin care regime. The next time nature provides crystallized honey, embrace the opportunity to try something new and take pleasure in the benefits of this natural phenomenon and the certainty that your honey is pure. You’ll be delighted you did! Our sweet little ones are certainly grime magnets, aren't they? It's quite the task to keep up on their daily diapering and leaky orifice needs! So many products these days are filled with troubling or questionable chemicals. If you're looking for an organic, toxin-free solution for caring for your newest, most squeezable family members, we've put together a list of solutions just for you. If you're intimidated by cloth diapers but still want to reduce what you are sending to landfills, using our Organic Lavender Hydrosol with cloth wipes is a great first step to offset waste due to disposable wipes. A couple spritzes of lavender hydrosol and a clean cloth make great reusable baby wipes. You can purchase cloths designed specifically for diapering to keep at the ready at your changing station. Our staff members who use this method insist it leaves baby with a cleaner bum than those conventional disposable wipes! Organic Lavender Hydrosol is also great for mitigating diaper rash because of lavender's all-natural antiseptic, soothing and healing attributes. 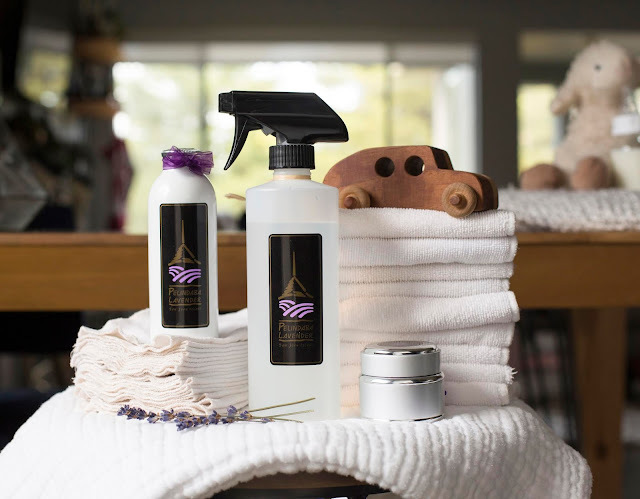 Added bonus: lavender hydrosol serves double duty around babies, providing a safe, organic cleaning option for baby toys, crib rails, highchair, changing table and any other sites you may find your adorable little drooler's slimy trails. Keeping baby's diaper dry is key for avoiding discomfort and associated tears. Our Lavender Body Power is talc-free and safe for use as a diaper powder as needed to maintain healthy skin on baby's delicate parts. Baby massages are highly recommended by pediatricians to help soothe and relax baby, especially if your little one is suffering discomfort due to colic. Our Lavender Body Oil is great for giving baby a gentle massage - because it absorbs a little faster than our Lavender Massage Oil, you won't have to worry about any oily mess when your squirmy kiddo is ready to go explore on hand and knee. 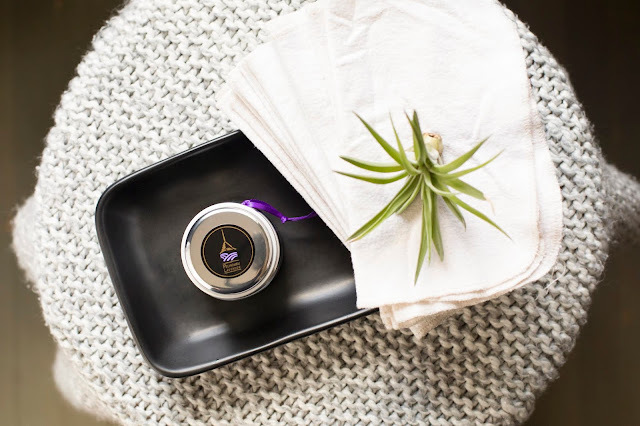 Our preservative-free Lavender Therapeutic Salve is a thicker paste consistency and is brimming with natural healing oils formulated to maximize their complementary anti-inflammatory, steroid-free, soothing and therapeutic properties. It's an effective and safe alternative for allowing baby's body to heal naturally from cradle cap, baby eczema or more extreme diaper rashes. Lavender essential oil is great for soothing rashes. A drop or two goes a long way - simply add it to your conventional cream or safely drop it right on any red spots in baby's diaper area. The strong fragrance will also help cover any undesirable odors. Speaking of hiding foul odors... a few lavender sachets, bouquets, or other floral decor items not only add a lovely decorative touch to your baby's nursery, but also offer a pleasant, clean aroma. If your sachets are losing their potency, simply give them a squeeze to break open more of the buds to release more of the essential oil and its fragrance.